The All Cap Blend style ranks third out of the twelve fund styles as detailed in our 3Q16 Style Ratings for ETFs and Mutual Funds report. Last quarter, the All Cap Blend style ranked third as well. It gets our Neutral rating, which is based on an aggregation of ratings of 74 ETFs and 698 mutual funds in the All Cap Blend style as of July 28, 2016. See a recap of our 2Q16 Style Ratings here. Figures 1 and 2 show the five best and worst rated ETFs and mutual funds in the style. Not all All Cap Blend style ETFs and mutual funds are created the same. The number of holdings varies widely (from 4 to 3638). This variation creates drastically different investment implications and, therefore, ratings. Investors seeking exposure to the All Cap Blend style should buy one of the Attractive-or-better rated ETFs or mutual funds from Figures 1 and 2. 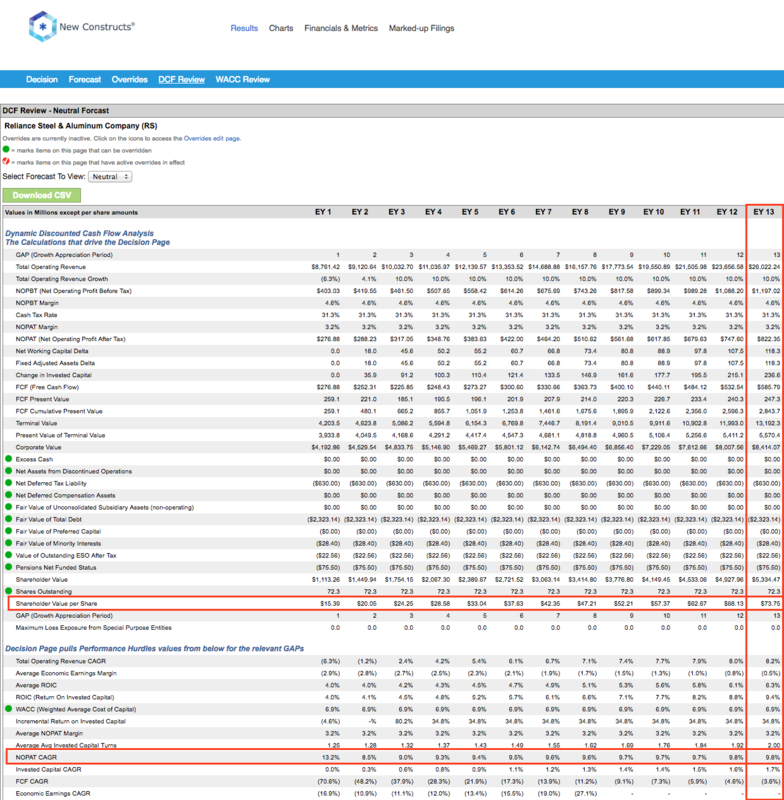 * Best ETFs exclude ETFs with TNAs less than $100 million for inadequate liquidity. Six ETFs are excluded from Figure 1 because their total net assets (TNA) are below $100 million and do not meet our liquidity minimums. See our ETF screener for more details. * Best mutual funds exclude funds with TNAs less than $100 million for inadequate liquidity. Transamerican Partners Funds (DIGIX, DVGIX), Jensen Quality Value Fund (JNVIX, JNVSX), and O’Shaughnessy All Cap Core (OFAIX) are excluded from Figure 2 because their total net assets (TNA) are below $100 million and do not meet our liquidity minimums. PowerShares S&P 500 Quality Portfolio (SPHQ) is the top-rated All Cap Blend ETF and Smead Value Fund (SVFYX) is the top-rated All Cap Blend mutual fund. Both earn a Very Attractive rating. ProShares Ultra Telecommunications (LTL) is the worst rated All Cap Blend ETF and Nationwide Portfolio Completion Fund (NWAAX) is the worst rated All Cap Blend mutual fund. Both earn a Very Dangerous rating. American Express (AXP: $64/share) is one of our favorite stocks held by SVFYX and earns an Attractive rating. We’ve previously featured AXP and proposed a strategy that could boost its value by $50 billion, which can be read here. 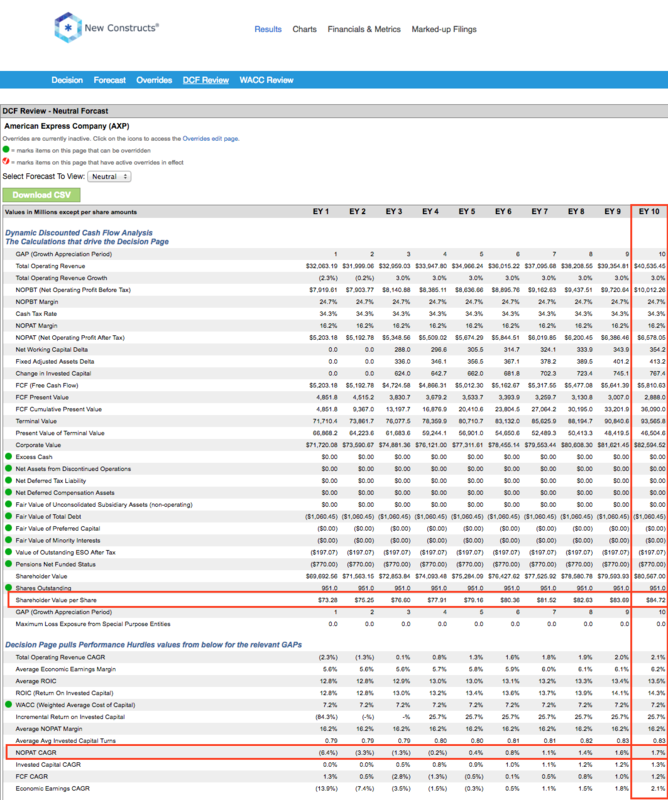 Since 2009, AXP has grown after-tax profit (NOPAT) by 13% compounded annually. The company has improved its return on invested capital (ROIC) from 9% in 2009 to 13% over the last twelve months while generating cumulative $16.6 billion in free cash flow over the last five years. However, AXP remains undervalued and presents significant upside potential. At its current price of $64/share, AXP has a price-to-economic book value (PEBV) ratio of 0.9. This ratio means that the market expects AXP’s NOPAT to permanently decline by 10% from current levels. If AXP can grow NOPAT by just 2% compounded annually over the next decade, the stock is worth $85/share today – a 33% upside. Reliance Steel & Aluminum Company (RS: $76/share) is one of our least favorite stocks held by All Cap Value ETFs and mutual funds and earns a Dangerous rating. Over the past decade, Reliance’s NOPAT has not meaningfully increased and over the last five years has declined by 4% compounded annually. The company’s ROIC has deteriorated from a once impressive 15% in 2005 to a bottom-quintile 3% over the last twelve months. Despite the struggles noted above, RS remains overvalued. To justify its current price of $76/share, RS must grow NOPAT by 10% compounded annually for the next 13 years. This expectation seems rather optimistic given that lack of profit growth over the prior decade. Figures 3 and 4 show the rating landscape of all All Cap Blend ETFs and mutual funds. This article originally published here on July 28, 2016. Disclosure: David Trainer and Kyle Guske II receive no compensation to write about any specific stock, style, or theme.